Most people smugglers prosecuted in Australia and Indonesia are low-level players in the crime and the kingpins are rarely caught, experts say. 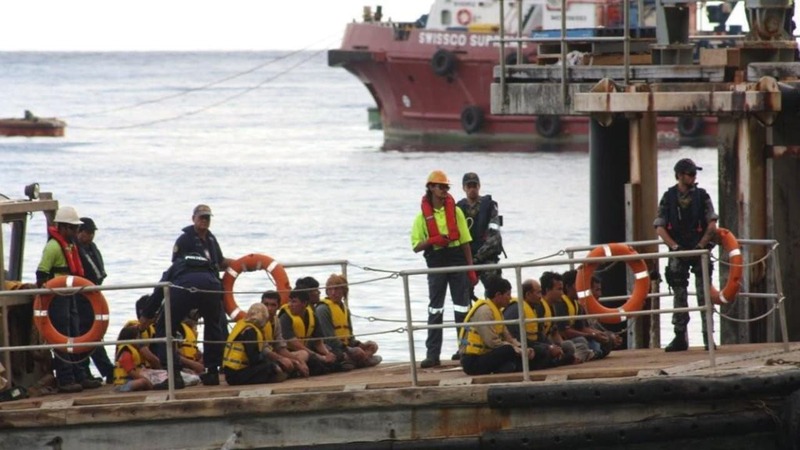 SYDNEY, Australia: Australia and Indonesia are catching and prosecuting people smugglers, but researchers say they are rarely nabbing the big players. Professor Andreas Schloenhardt leads the University of Queensland's Migrant Smuggling Working Group and has taken a particular interest in Australia's efforts to put people smugglers behind bars. He says several hundred people have been convicted in Australia since people-smuggling offences were first introduced in 1999. But he says more than 95 per cent of the accused were captains and crew of migrant-smuggling vessels. "Prosecutions of organisers or others who are involved in a more senior or directing capacity are very rarely detected in Australia," he says. "There are some 10-20 reported cases in which such organisers were caught, sometimes overseas, and brought to Australia to face prosecution." Prof Schloenhardt says smuggling cases in Australia have typically involved Indonesian nationals paid small sums to crew smuggling vessels. 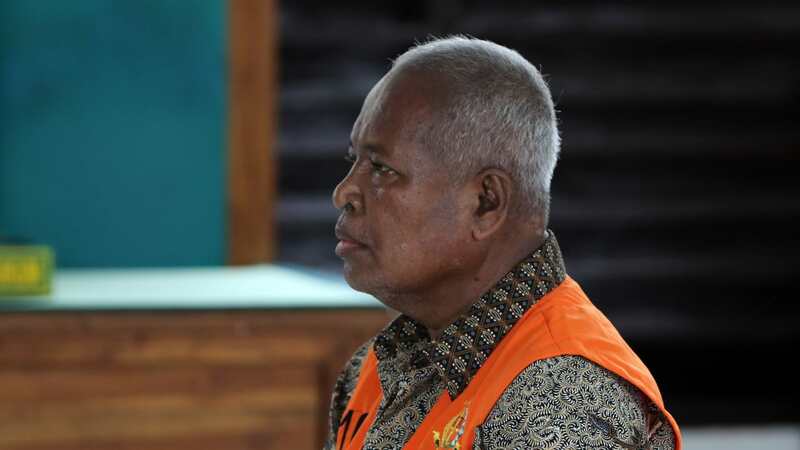 "Most of the captains and crews are Indonesian nationals, usually young poor fishermen or labourers, who receive small amounts of money to ferry the smuggled migrants to Australia," he says. "In some cases, the crew are Sri Lankan or from the same countries as the persons they smuggle. In such cases, they try to smuggle themselves as well as others, often because they too fear persecution in their country of origin." An article he penned for the Sydney Law Review in 2016 looked at smuggling offenders who have faced Australian courts. The vast majority were people who worked as crew on vessels that smuggled migrants from Indonesia to Australia. Of the 305 people convicted of smuggling offences between June 2010 and October 2014, 295 were crew and only 10 were organisers. He says that suggests "the main players and kingpins can operate with relative impunity". University of Queensland researcher Xavier Goffinet is studying the response of Indonesia's criminal justice system to the smuggling of migrants. He says data on convictions is patchy and judgments are not published consistently. However, convictions in Indonesia also appear to involve mostly low-level participants. "Prosecutions are overwhelmingly of low-level escorts, drivers, boat crew and ferrymen rather than high-level organisers," Mr Goffinet says. But he notes there have been some high-profile court cases in which police and members of the Indonesian military have been prosecuted. In October 2012, an Iranian-Australian man was jailed for 14 years for organising several smuggling voyages, including the one that saw 50 people perish on the rocky shores of Christmas Island. Ali Khorram Heydarkhani admitted helping smuggle people to Australia and recklessly endangering the lives of 89 Iranian and Iraqi asylum seekers who were on a decrepit boat when it was smashed to pieces after its engine failed at Christmas Island in December 2010. 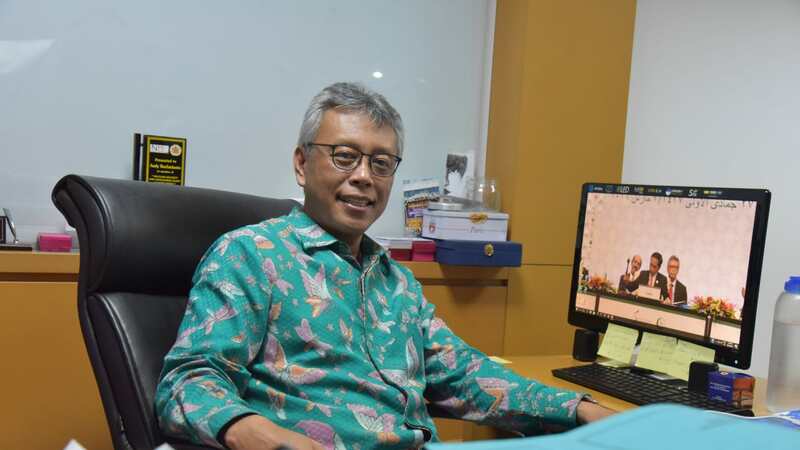 Heydarkhani, who'd been granted refugee status and became an Australian citizen in 2004, worked with asylum seekers to organise their journeys from Indonesia. He also purchased boats for those voyages. They were not seaworthy and did not carry adequate safety equipment. He lied to his customers about the condition of the vessels they would travel on, telling them the boats would be modern and fast, with private rooms, when in fact they were leaky, vermin-infested and dangerous. In sentencing Heydarkhani in 2012, Perth District Court Judge Stephen Scott said it was clear he had a high role in a smuggling syndicate and was not remorseful for his crimes. Just days after horrified locals desperately tried to save the 50 Iraqi and Iranian asylum seekers who drowned or were pounded to death at Rocky Point on Christmas Island, Heydarkhani was arranging yet another smuggling voyage. Australian authorities arrested Heydarkhani after he was deported from Indonesia. In May 2015, a Perth court jailed Iraqi Kurd Sayed Omeid for 10 years for smuggling 555 asylum seekers from Indonesia to Christmas Island by boat. Omeid, who'd fought extradition from Malaysia for years, admitted arranging two vessels that arrived in 2010. His lawyers tried to argue that he was just a middleman in a smuggling syndicate run out of Indonesia by kingpin Achmad Olong. But sentencing judge Mark Herron rejected that claim, saying it was clear Omeid had played a central role in the criminal enterprise. 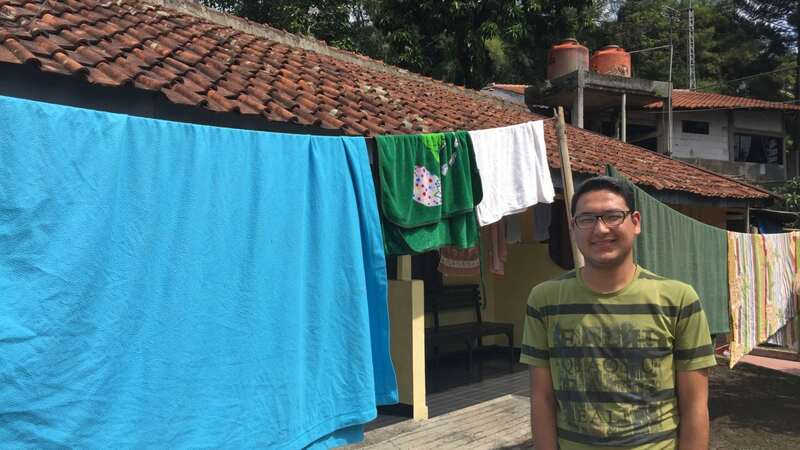 The court heard how Omeid met asylum seekers in Malaysia, and arranged their accommodation and transfer to Indonesia. In Indonesia, he made sure they had food and accommodation before secreting them on the boats that would smuggle them to Australia. His customers, from Afghanistan, Iraq, Iran and Sri Lanka, told how they each paid up to $US4000 (3500 euro) for the services Omeid pedalled. In 2011, a Darwin court sentenced Omeid's associate Olong to a maximum five years' jail for his role in the smuggling syndicate. Olong had bought a boat that smuggled 353 mostly Iraqi asylum seekers from Indonesia to Ashmore Reef in 1999, where it was stopped by Australian officials. But Olong wasn't arrested until eight years later when he travelled to Thailand for a holiday with his family. Another associate of Omeid and Olong, dual Iraqi-Iranian citizen Hadi Ahmadi, was extradited to Australia in May 2009. Ahmadi was convicted in 2010 of organising two boats carrying 562 asylum seekers from Iraq, Iran and Afghanistan from Indonesia to Christmas Island in 2001. He was sentenced to seven and a half years' jail. HOSIENE MOHAMED - THE "GO-TO MAN"
In April 2016, Iraqi-born Hosiene Mohamed was jailed for 10 years for helping organise a boat that smuggled 56 people to Australia. The Australian navy intercepted the boat at Ashmore Island in September 2010. On board were four Indonesian crew. The rest were passengers who were predominantly from Kuwait and Iraq. Seven of them later identified Mohamed as their contact point for the smuggling journey but it took authorities years to find him. He was ultimately convicted of five people-smuggling charges, with his Perth trial told the price of reaching Australia was between $US6500 and $US8000 (5780 and 7100 euro). In sentencing Mohamed, District Court judge Richard Keen said he was well known as a "go-to man" and suggested it was likely he'd been involved in smuggling other people. Keen also said Mohamed had abused the sanctuary Australia had afforded him by granting him residency after he fled Iraq because of his links to a group that worked against Saddam Hussein's regime. "It must have been a great relief for you to be accepted in this country. However, you have abused that sanctuary and hospitality," Judge Keen told him. In July 2012, four members of the Indonesian military were intercepted escorting 41 smuggled Iranian and Syrian migrants. The migrants were travelling through Java to their departure point for Australia on the coastline of the Sukabumi regency. The men were subsequently convicted of offences relating to the smuggling of migrants. Their sentences were increased on appeal. Just eight months earlier, the role of military officers in the trade was laid bare when a boat carrying 250 smuggled migrants sank during a storm off East Java. Only 37 people survived. The leader of the military officers involved in the deadly journey was Sergeant Ilmun Abdul Said, a relative of well-known smuggler Aziz Abdul Said. In December 2011, Ilmun organised a hiding place and took the asylum seekers to a beach at night where they boarded tender boats to ferry them to a larger smuggling vessel waiting offshore, accepting payments of $A291,000 (194,000 euro) for the military's assistance. Ilmun and four military colleagues were convicted over their roles in the crime but despite the deaths of more than 200 people, received relatively light sentences. Ilmun was jailed for just six years and fined $A50,000 (33,300 euro). During an appeal, Ilmun's military co-conspirator Sergeant Kornelius Nama claimed the group had been sacrificed, and that the main military figures behind the venture had escaped arrest. He claimed there were many people-smuggling networks with links all the way to Jakarta. Their appeal failed.